Guacamole - The dip or side, made out of Avocado is originally from Mexico. 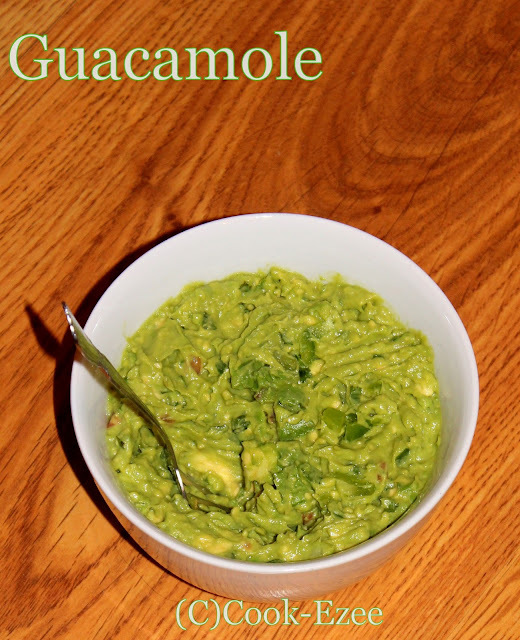 'Guac' as we call it is a great dip for tortilla chips and can be served for any Mexican sides. And the Guac freak fella like me even have them topped with sandwiches. The simplest guacamole can made by simply blending the avocado with salt, lemon juice/apple vinegar. You can spice it up with jalapenos/serrano pepper/bell pepper/green chilies. 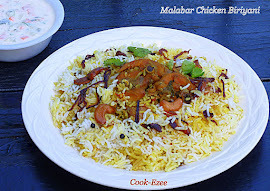 Adding chopped cilantro/coriander leaves, tomatoes, onion etc gives it a better taste. A perfect Guacamole depends on the avocado used, it should be good and ripe. Over ripe or not ripe avocados are both icky. You can check the ripeness of avocado by gently pressing them, if it sinks in slightly with little resistance then it is ripe enough. If it do not sink at all it is not ripen where as if it is sinks a lot it is over ripen, both results in a tasteless Guacamole. So once you find the best avocado make this guacamole and serve with tortilla chips or as any Mexican sides. So come on much on some tortilla cups dug in this healthy goodness Guacamole and relish with your loved ones!!!! Cut avocado into half. Remove the seed, scoop out the avocado from skin and move to a mixing bowl. Reserve few chunks to add up at the end. 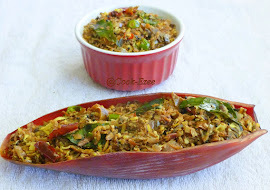 Add the chopped tomatoes, jalapenos(or green chilies/bell pepper), coriander leaves, onion(if using), salt mash them again till everything is combined. Add the reserve chunks of Avacado and lemon juice and give it a gentle mix till everything combine well. Move to a serving dish and serve immediately with chips, Mexican rice, burrito, tacos or quesadillas. 1. Guacamole is very easy to make, but do not taste good if kept for long time. So make them just before ready to serve. 2. 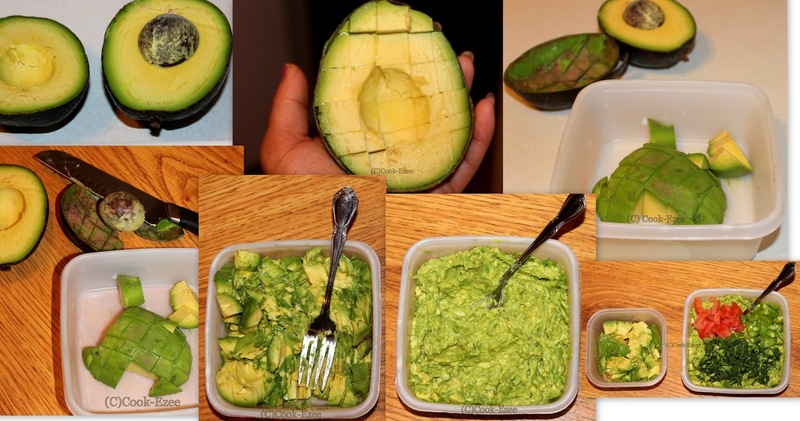 Keep all the ingredients ready and cut the avocado just before you make the dip. Or keep them refrigerated covered with a cling wrap or air tight container. My all time favourite dip,super like.